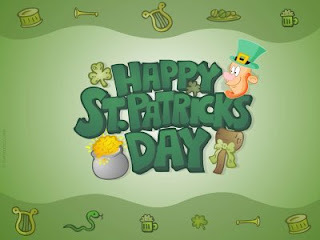 It is indeed the day that everyone gets their green on. 25% off all beverages between 6-8pm tonight, Live music and pipers at 8:30pm, prize draw at 11:30pm. All money raised will be donated to the National Association for Cancer Awareness (NACA) - A great cause. i am going crash that party...i will be dressed in green.